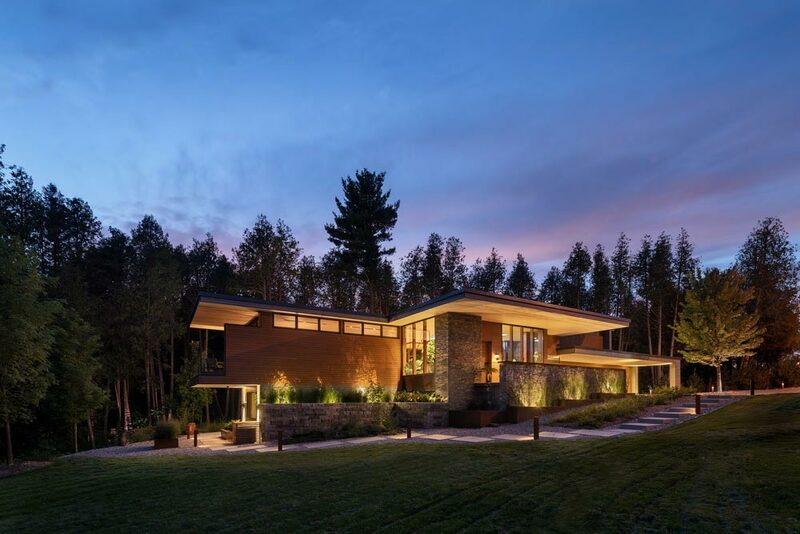 Carved into the outlying Canadian metropolis of Toronto, Canada, Petaluma House is a beautiful split-level addition to the landscape – providing a modern appeal without losing sight of the traditional comforts that it envelopes. 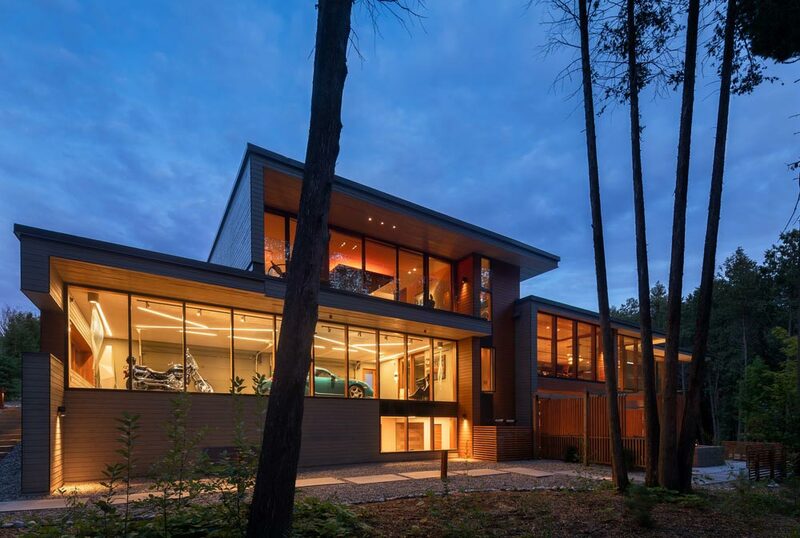 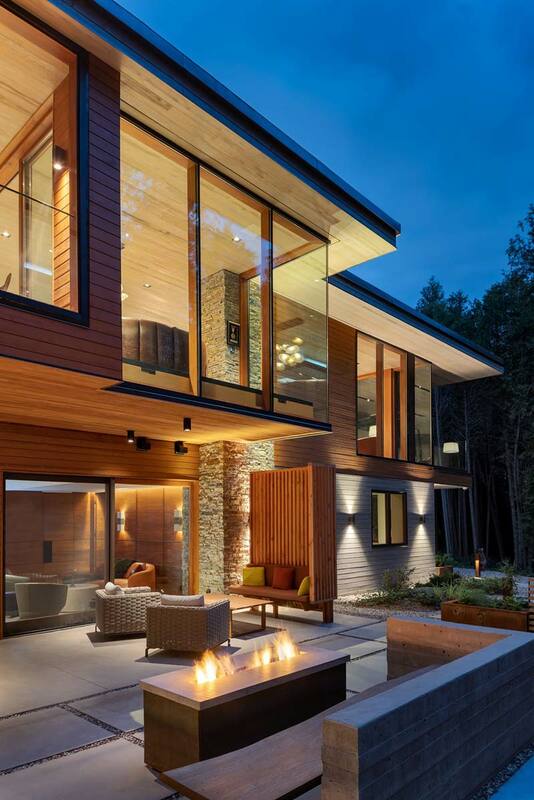 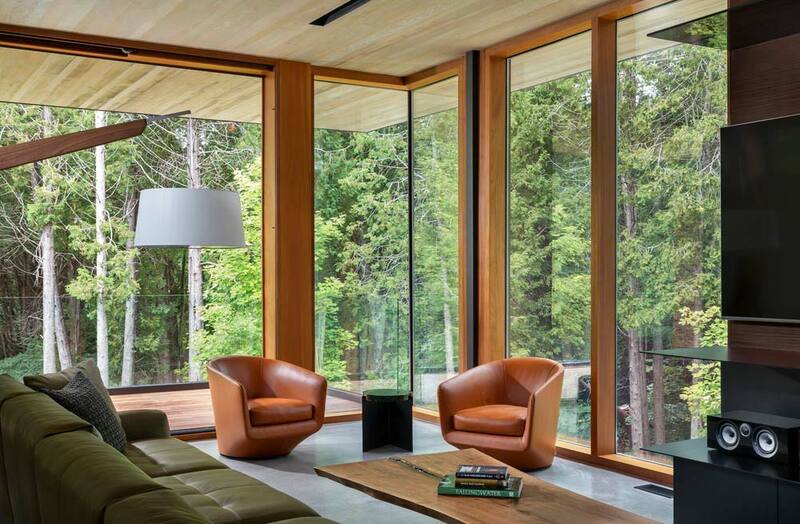 With clean wooden lines that allow for maximum open-concept living, a flat roof to make room for the view beyond its doors, along with the elegant allure of glass and polished cement throughout, this home is a decadent place to rest your head at the end of a long day. 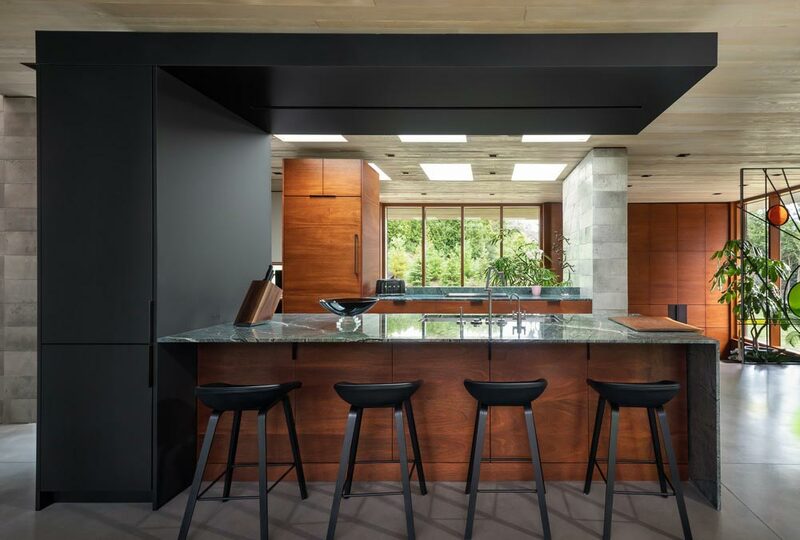 Although, for the retired couple who calls Petaluma House home, their “long day” may very well include simply enjoying their coffee fireside on the patio, or tinkering in the garage – which looks like anything but a garage, with high-gloss black floors and wall-to-wall windows. 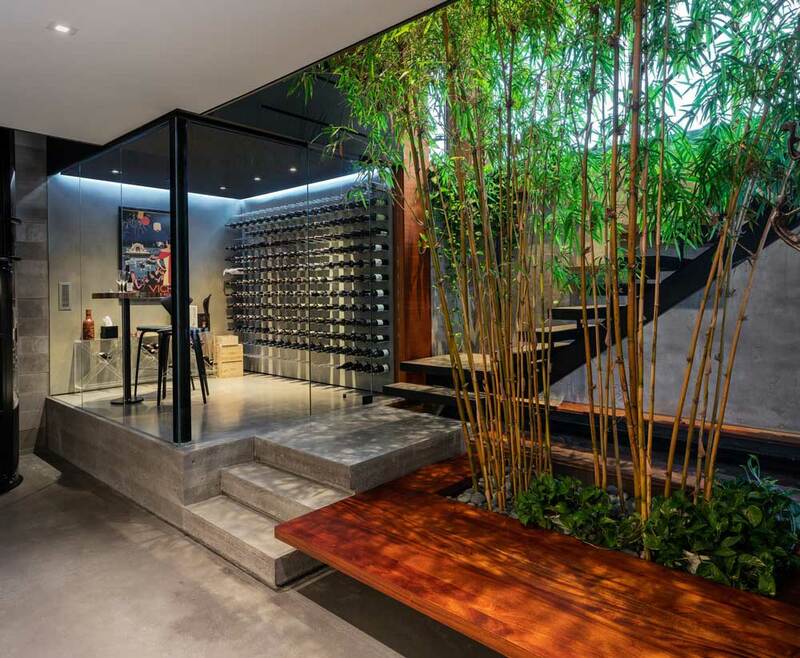 Or perhaps, after a day of shopping in the city, they find themselves at the lower-level wine bar, enjoying a glass of wine with friends, nested against a bamboo-lined stairway that carries up into the main living area between the hallway and kitchen. 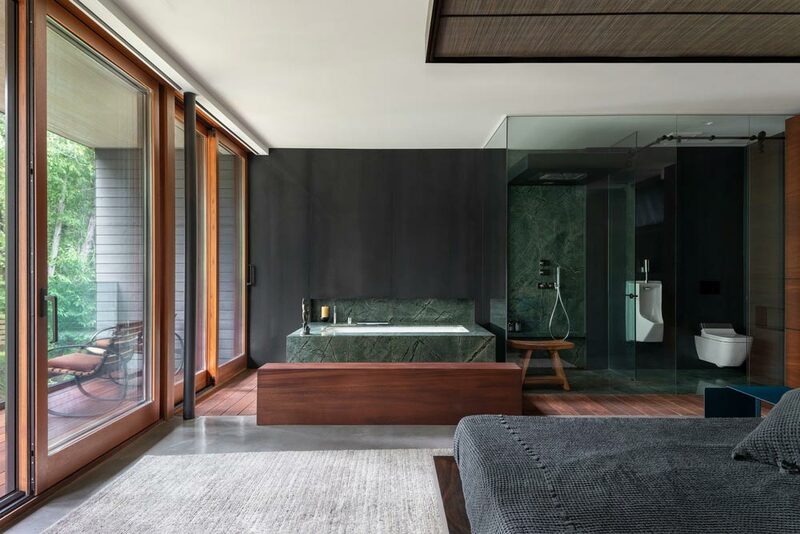 The master bedroom allows for weary heads to enjoy an open ensuite and a view that brings the space to life. 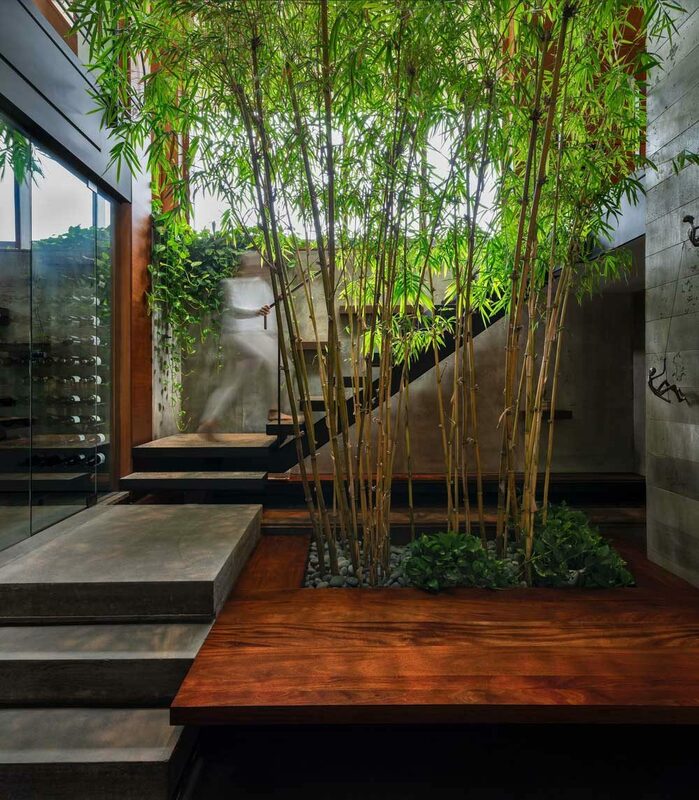 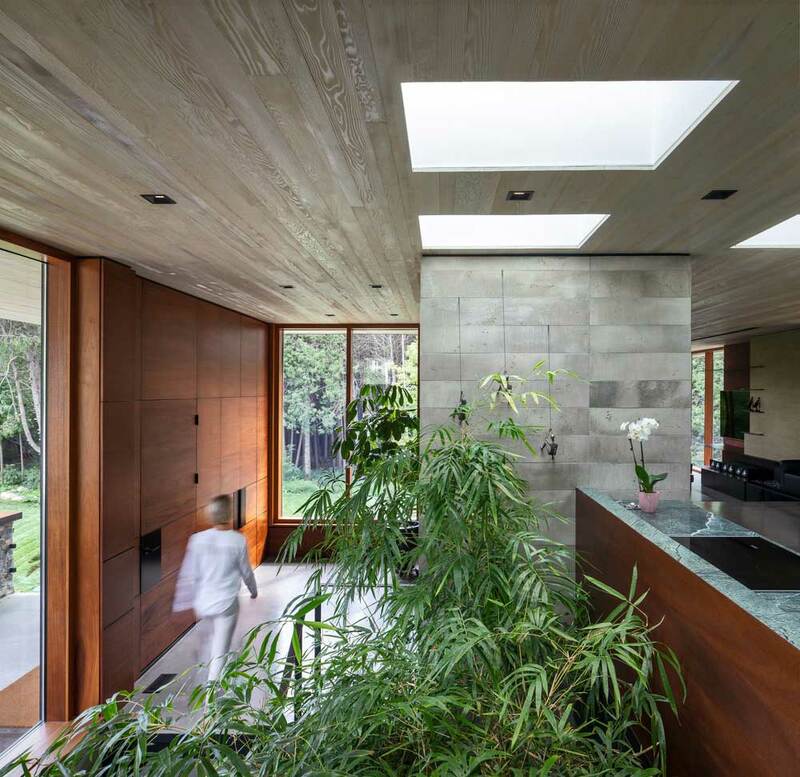 While the kitchen maintains the open living concept, looking out onto the screened in dining area from the massive green marble island, doubling as a eat-in breakfast bar, and the mahogany encased sink and cabinets look off to the aforementioned bamboo view. 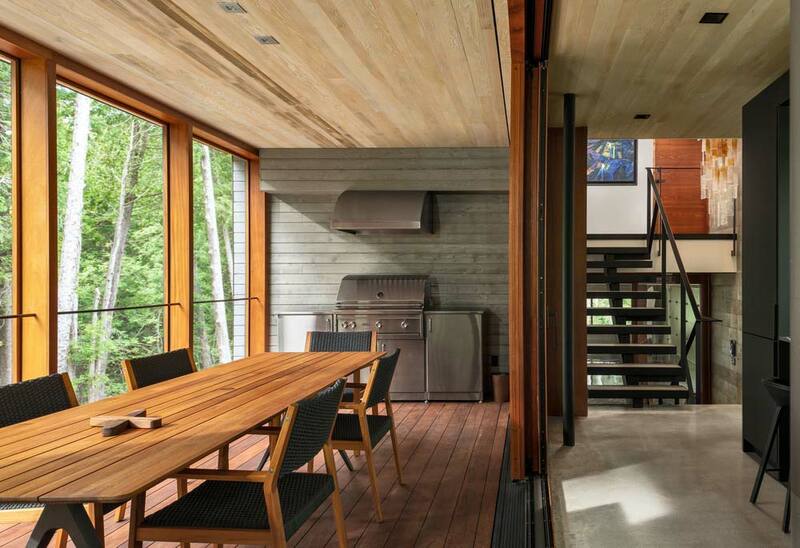 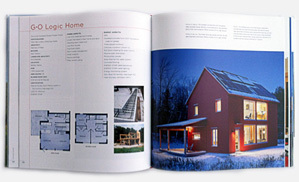 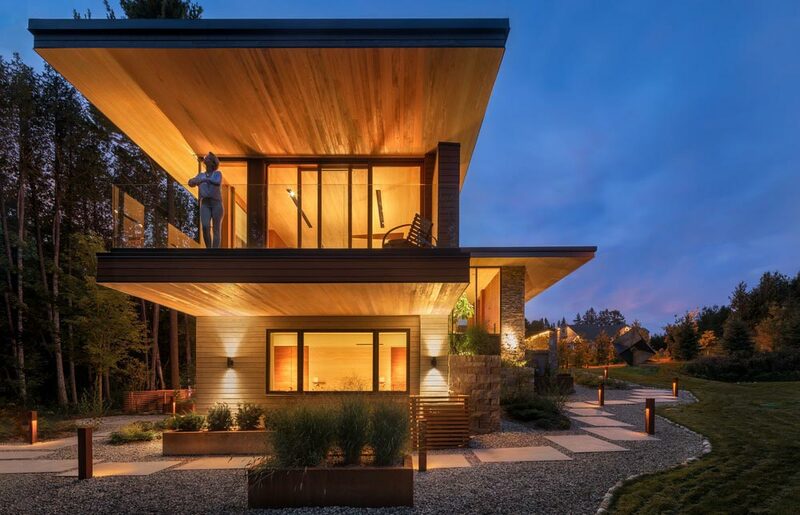 Top to bottom, this modern split-level home is a breath of fresh air, and the many organic elements within it makes sure of that!